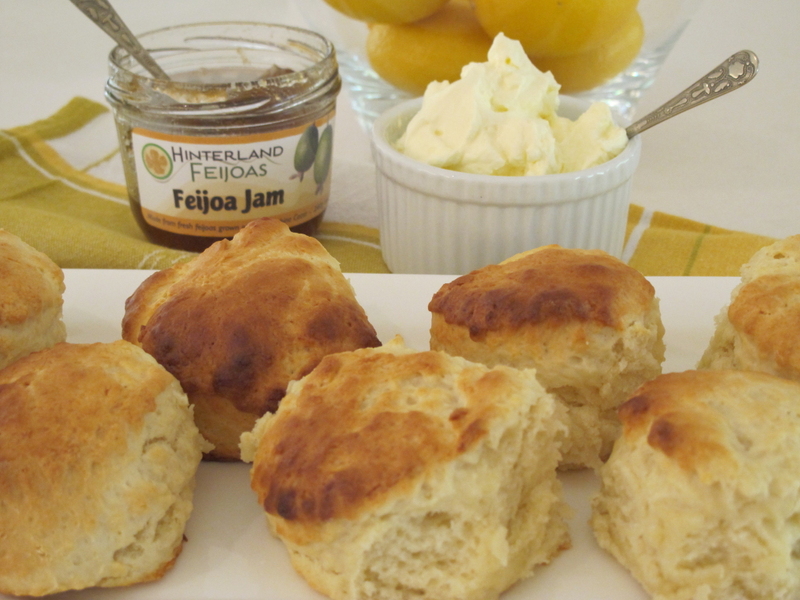 For the past few weeks I’ve been indulging in a classic feijoa jam from Hinterland Feijoas. I’ve written briefly about Hinterland Feijoas before, but I mention them again because Sally Hookey is just sooo passionate about feijoas and the industry and her own orchard – and because she enlisted the help of Sunshine Coast chef Peter Wolfe to create their range of delicious jams. Which makes them something special. The feijoa flavour packs a punch (phew, craving satisfied) and there is a wonderful fine grittiness to the jam that captures the grainy texture of the fruit. Sweet and aromatic, just perfect for morning tea with my new favourite lemonade scones and a definite cure for my winter blues. You can buy these jams at a bunch of exciting places around the Sunshine Coast or you can mail order them directly – find out more details on the Hinterland Feijoas website.